You are here: Home / LATINO POLITICS / WHAT IS PRESIDENT OBAMA DOING TO FIX THE IMMIGRATION SYSTEM? WHAT IS PRESIDENT OBAMA DOING TO FIX THE IMMIGRATION SYSTEM? President Obama is calling for a national conversation on immigration reform that builds a bipartisan consensus to fix our broken immigration system so it works for America’s 21st century economy, but he can’t do it alone. Help bring the debate to your community by hosting a roundtable. CONTINUE THE CONVERSATION IN YOUR COMMUNITY AND HOST A ROUNDTABLE. President Obama is calling for a national conversation on immigration reform that builds a bipartisan consensus to fix our broken immigration system so it works for America’s 21st century economy and security needs, but he can’t do it alone. That is why we are asking you and other Americans, including business leaders, faith leaders, law enforcement leaders and all Americans that understand that we cannot continue to live with the broken system the way it is – to continue the conversation in your community by hosting a roundtable. Download the toolkit. Click on link below. Tell us about your event using the form to the right. Tell us how your event went and submit the completed toolkit on the follow up form. President Obama recognizes that our current immigration system is broken and he is deeply committed to building a new 21st century immigration system that meets our nation’s important economic and security needs. In his State of the Union Address, the President laid out his vision for winning the future. To secure prosperity for all Americans, we must out-innovate, out-educate, and out-build the rest of the world, and fixing our immigration system plays an important part in that plan. As we work to rebuild our economy, our ability to thrive depends, in part on restoring responsibility and accountability to the immigration system. Requiring responsibility from people who are living in the United States illegally. —-Worked to improve our legal immigration system. WASHINGTON (Reuters) – President Barack Obama, expressing confidence he will win re-election in November, told a Hispanic audience he would use a second term to seek comprehensive immigration reform. 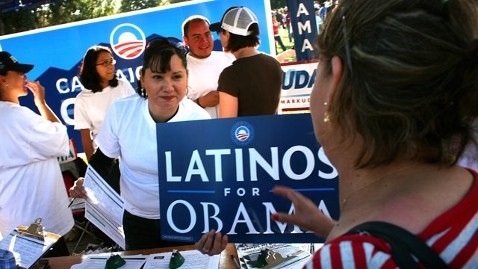 Obama is seeking to shore up support among Hispanic voters, whose strong backing helped him win the White House in 2008. But some in the Latino community are disappointed over the lack of progress toward overhauling the immigration system. Obama – in an interview broadcast the day before his Thursday trip to Florida, an election battleground state with a large Hispanic population – sought to reassure Latinos he was committed to trying to pass broad immigration reform. “So far, we haven’t seen any of the Republican candidates even support immigration reform,” Obama said, taking aim at his potential opponents in the November 6 election. The White House hopes that hard-line positions taken by Republican presidential contenders on illegal immigration and border control will help Obama with Hispanic voters in vital swing states like Florida, Nevada and Colorado. « IS DREAM ACT ON PRESIDENT’S AGENDA? I’m no professional in this subject matter, but I do know what I like to read. This is excellent content with well laid out viewpoints. I will certainly make a link to your blog on my site.